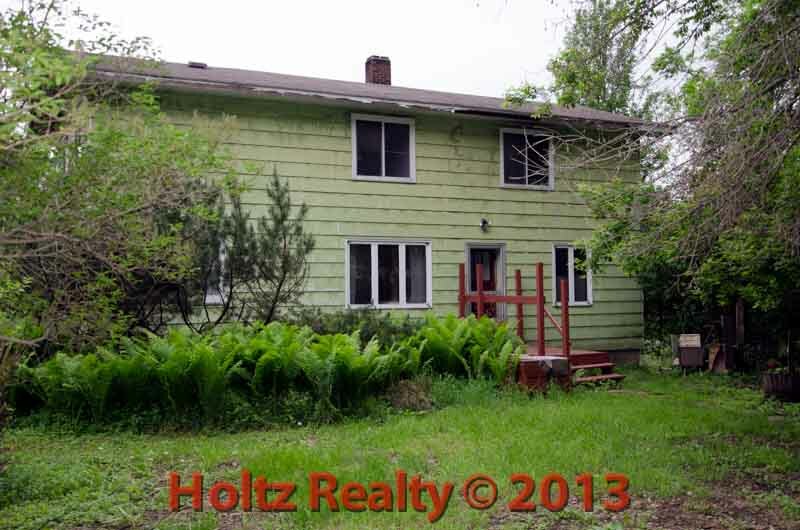 Share the post "Looking for that secret site you can call home?" Looking for that secret site you can call home? This in-town acreage has privacy and location written all over it. One of the biggest assets this 4.45 acres has to offer are the old growth trees that create a “hidden garden” atmosphere. A person has the opportunity to restore and update the existing structure or scrape it and build whatever size or style home in the middle of this wanna be paradise. There are fruit trees, garden areas and a small barn. There is an existing well and septic tank that would have to be updated to meet DNR standards or you can hook up to city sewer and water and keep the well to water your victory gardens. Another real plus with this property is that is in city limits and NOT on a gravel road. It shocks me to find how many grand country homes are on gravel roads in North Iowa. I can only imagine the amount of endless road dust the owners have to contend with year round. At first glance the site would remind you a little of Green Acres but a closer look you will discover your diamond in the rough. Seeing is believing… this site could be the talk of the town when you’re finished with it. The sellers are motivated and ready to really deal so don’t wait! Click on the link below to view this listing.